Dr. Jig Patel, a respected dentist, makes Fastbraces® orthodontics more available to his community by offering complimentary orthodontics consultations. Those who may benefit from Fastbraces in Schaumburg, IL can also now receive $1,000 off this convenient treatment. Dedicated to his community, Dr. Jig Patel now offers a Fastbraces® promotion at his practice, Schaumburg Dental Studio. Dr. Patel, a highly-trained dentist, is offering complimentary consultations and $1,000 off Fastbraces in Schaumburg, IL. Experienced in general and cosmetic dentistry, Dr. Patel understands the effect a straight smile can have on a patient’s self image as well as their health. Requested by teenagers and adults alike, orthodontic treatment is frequently sought out for it’s ability to correct misaligned teeth and create an ideal smile. Although an aesthetically appealing smile can reinspire previously lost confidence, it can also improve oral health as well. Crooked or crowded teeth can make oral hygiene routines difficult and eventually lead to tooth decay and gum disease. In order to help his patients achieve and maintain proper oral health, Dr. Patel encourages those with crooked teeth to now visit his practice for complimentary Fastbraces consultations. With revolutionary triangular bracket technology, Fastbraces can straighten teeth and correct misaligned bites in less than 120 days. A long-term solution achieved through short-term treatment, Fastbraces orthodontics is now frequently preferred by patients around the world and is offered in over 50 countries. In order to avoid unneccessary discomfort and inconvenient treatment with traditional braces that can take years, this unique system can now offer results in a matter of days. With fast, affordable results, Fastbraces in Schaumburg, IL is an ideal and convenient orthodontic solution for a variety of cases. To take advantage of this Fastbraces promotion or to learn more about custom orthodontic solutions, visit Dr. Patel’s website at http://www.schaumburgdentalstudio.com or schedule a complimentary consultation by calling 847-348-8673. Schaumburg Dental Studio is a general and cosmetic dental practice offering personalized dental care to patients in Schaumburg, IL since 2004. 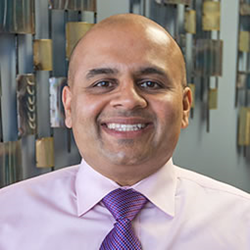 With nearly 20 years of experience, Dr. Jig Patel provides cutting-edge care including dental implants, laser gum disease therapy, orthodontics and cosmetic dentistry treatments. Dedicated to his patients, he frequently participates in community charities including the Dentistry from the Heart Program each year. A patient-centered office, the entire team at Schaumburg Dental Studio strives to offer leading-edge treatments using the latest technology while also making them affordable for their community. To learn more about Dr. Patel, Schaumburg Dental Studio or the services they offer visit their website at http://www.SchaumburgDentalStudio.com or call 847-348-8673 to schedule a custom consultation.